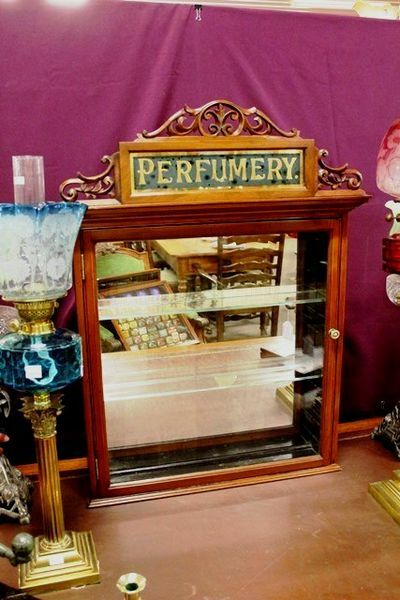 Antique Front Loading Perfumery Display Cabinet. Antique Front Loading Perfumery Display Cabinet. Truly a wonderful example of a shop advertising cabinet. 89cm high x 69cm wide x 16cm deep.